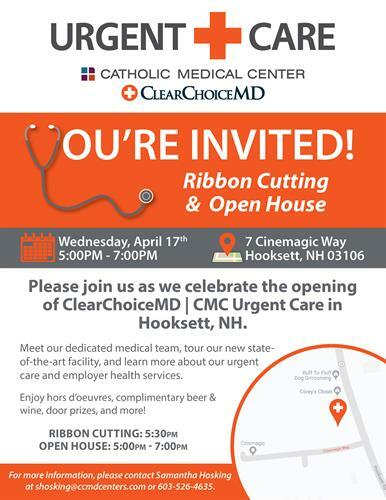 Please join us as we celebrate the opening of ClearChoiceMD | CMC Urgent Care in Hooksett, NH. Meet our dedicated medical team, tour our new state-of-the-art facility, and learn more about our urgent care and employer health services. Enjoy hors d’oeuvres, complimentary beer & wine, door prizes, and more!